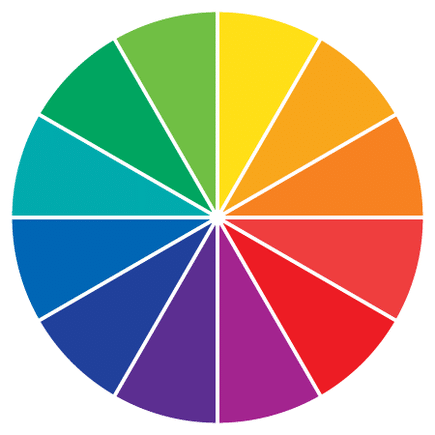 An understanding of colour psychology can significantly improve your website’s conversion rate. Different colours can evoke different emotions and symbolise different qualities. By knowing more about what certain colours can do for your business, you can target users and promote your brand. There are a few guidelines that every website should adhere to. For example, text should contrast with the background to be sure it is readable. Dark text on a light background is always easier to read quickly, but there is nothing to stop you from inverting those colours. Not only text, but anything in colour is easier to distinguish when against a contrasting background. Avoid using a colour like orange to highlight something on a red background. These colours are too similar and the orange will not succeed in highlighting anything. The background, base and accent colours can be used to create a hierarchy on the page. If you need a headline to stand out, make it a different colour to the body text. Make the call to action a different colour as well. Individual colour psychology is influenced by personal experience, but research suggests that most people have similar reactions to certain colours. Pink is generally associated with women and femininity. It’s common to see pink associated with beauty products and babies. Orange can be a fun colour, perfect for children. It has positive connotations and is warm. Orange can also be considered cheap, but this idea can be manipulated to signify value, especially if only used as for accents. According to polls, yellow is the least common favourite colour. It should only be used in small doses unless you are confident it is the right colour for you. McDonalds is able to utilise yellow as they are historically geared at children, who are more likely to enjoy yellow and associate it with a sense of playfulness. Brown, while fairly disliked, can be effective in adding a natural feel. It can promote the ideas of structure and stability. Black denotes class and sophistication. It is luxurious and is great for high end products or services, such as limousines. White gives your website a clean look, especially when used for the background. As long as the white space is broken up by colour, it can offer a sleek look and a degree of professionalism. White on a well-designed website is pure and natural. Red is a good colour for a call to action. It promotes a feeling of urgency and stands out against most other colours. It can also be associated with danger, so use with caution. Blue is a very popular colour. Lighter blues are refreshing, while darker blues are luxurious. Blue is also a great colour to promote trust, security and loyalty. Green promotes an eco-friendly message and is almost always associated with the environment. Many companies utilise this association. There’s a reason BP changed their logo to green shortly after the oil spill! It may not seem as though colour could not possibly be so important, but it can be fundamental. Of course, there are no universal truths about colour psychology. Not all people who view your website will react the same way. Do some research to figure out what will work best for you and your audience to start increasing your conversation rate.